Lenovo is bringing a unique design to Chromebooks with the N20p Chromebook, which has a touchscreen that can rotate roughly 300 degrees to a "stand mode." In close proximity, the stand mode also makes the Chromebook convenient to view media content, said Robert Eckard, Lenovo's senior product manager for notebooks. The N20p Chromebook will be priced at US$329. 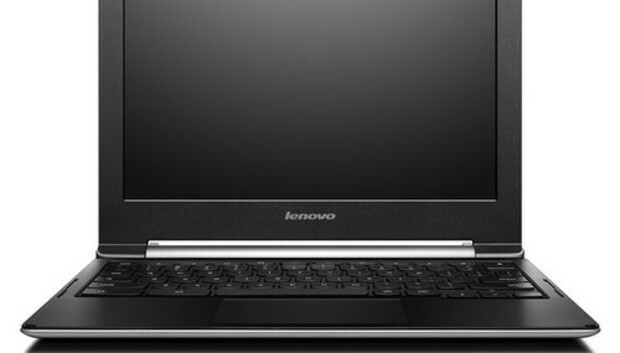 Lenovo also announced the non-touch N20 Chromebook, which will be priced at $279. The N20p weighs 1.4 kilograms, while the N20 weighs 1.3 kilograms. Both the N20 and N20p laptops have 11.6-inch screens that can display images at a 1366 x 768-pixel resolution. The N20 and N20p are Lenovo's first Chromebooks based on the updated Chrome OS, which hit laptops in September last year. Acer, Samsung and Hewlett-Packard were the first companies to ship Chromebooks with the updated OS. Chrome OS is also being used in mini-desktops from HP, Google and Asustek, and an all-in-one PC from LG. Lenovo already sells the ThinkPad X131e, which started shipping in January 2013 and is based on the first version of Chrome OS. Chromebook laptops are for those who do most of their computing on the web. Built on the Chrome browser and based on the Linux kernel, Chromebooks incorporate the tablet-like ability to download apps specifically for the device from Google's Chrome Web Store. Google Docs can be used for word processing, spreadsheets and presentations, and Google Drive or any other service like Box.net for storage. Applications like Dell's Wyse PocketCloud allow users to turn Chromebooks into Windows virtual desktops. Lenovo has seen a significant rise in demand for Chromebooks and is catering to the growing demand in the consumer and commercial markets, Eckard said. "We're obviously monitoring the market," Eckard said. "For us in terms of the laptop space, in the U.S. and Canada, we see a higher level of demand." Chromebook shipments are growing fast. In 2013, Chromebooks accounted for 20 percent of the business laptops shipped, according to market research firm NPD Group. Two of the top-five bestselling laptops on retailer Amazon.com are Chromebooks. The laptops offer eight hours of battery life and can boot in three seconds, according to Lenovo. Standard features in the base models include 16GB of internal storage, 2GB of DRAM, a dual-core Intel Celeron N2830 processor, a 1-megapixel webcam, two USB 2.0 ports and a micro-SD slot for expandable storage. The laptops have the latest 802.11ac Wi-Fi and Bluetooth 4.0. Lenovo did not announce the exact shipping date for the Chromebooks, but the models will be available in the U.S., U.K., France, Germany and Netherlands.